And, with our help, the solution! Take back control of your life and your career. If you feel like your career is on the go-slow, or going no-where, the chances are the problem is not the person you work for, or the environment that your work in - it's you! And that is bad news if you like to blame other people for all your problems - but it is great news if you are really serious about wanting to change your situation and your results. You cannot control other people, but you are 100% in charge of you - and with our help, you can change you - into a person who is more effective, confident, successful and valued. Our coaching and training programmes help IT professionals unlock the Impact, Influence and Income they desire to see in their lives. It's a truth universally accepted that great engineers do not automatically make great leaders. We provide training and coaching that helps IT professionals make the transition from a technical career into Leadership. Notice we didn't say 'management'? Leadership is not about managing people (but it could include that) - leadership is the ability to influence others (and yourself) to get the desired results. So whether you want to be the CTO or a lead programmer with no line-management responsibilities - influence or leadership is an essential skillset to enable you to achieve your career goals and serve your organisation. Through our books, courses and coaching we offer a comprehensive framework that will equip you with the skills, mindset and attitudes essential for a world class career in IT. Many organisations are good at providing technical training for their engineers – and for those that don’t there is a wealth of online resources available which you can use to solve many technical problems. However, when it comes to the so called soft skills like leadership, most organisations rely on your natural ability and make little if no budget available for training and development. As a result, those IT Professionals who want to advance their career into leadership must take matters into their own hands. The world has changed dramatically in the last two decades. When I started my career in IT, if I wanted to know how to do something technical I would ask ‘grumpy Geoff’ who might show me, or more likely, he would tell me to go and read the manual. If I managed to find the right ring-binder containing the manual, I might find the right page which would show me how to configure that gizmo or solve that programming problem. The whole process would take hours! Today - we can simply ask Google and read a couple of answers on StackExchange and hey-presto we have our answer. Solving technical problems is a logical process that we can learn- and when we get good at it our careers take off. And then, we reach a tipping point - a place in our career where further advancement does not depend on our technical ability but instead we have to take on some leadership responsibility. Leading people is very different from solving technical problems or developing software - it is a completely different set of skills. You can't Google 'how to get Bob to fill in his timesheet on time' - because people are not logical - even the geeky ones who work in IT! This is why they react in unexpected ways when you suggest something that sounded perfectly reasonable to you, but instead they get upset and refuse to co-operate. You have worked hard to get where you are and build a foundation for the next phase of your career. Now it’s time to invest in yourself and learn how to be a better leader and apply those leadership skills. This will ensure the next phase of your career is an even greater success giving you the influence, impact and income that you deserve. If you are already in a leadership role, you will have realised by now that you are being judged on one thing alone- results! Are projects getting completed on time? Are SLA being met? Are your team's absentee levels within HR's expected range? and so on. Since the majority of the results you will be judged on are actually going to have to be delivered by the people you lead - it is your leadership skills (or lack of them) that will have the biggest impact on your success. There will never be a better time to start upgrading your leadership ability. Your career success does not have to be limited by your natural leadership ability or people skills. You can upgrade your skills and learn how to lead and influence people with confidence and ease – and I will show you how. The laws of leadership can be learned by anyone – if you follow them, people will follow you. 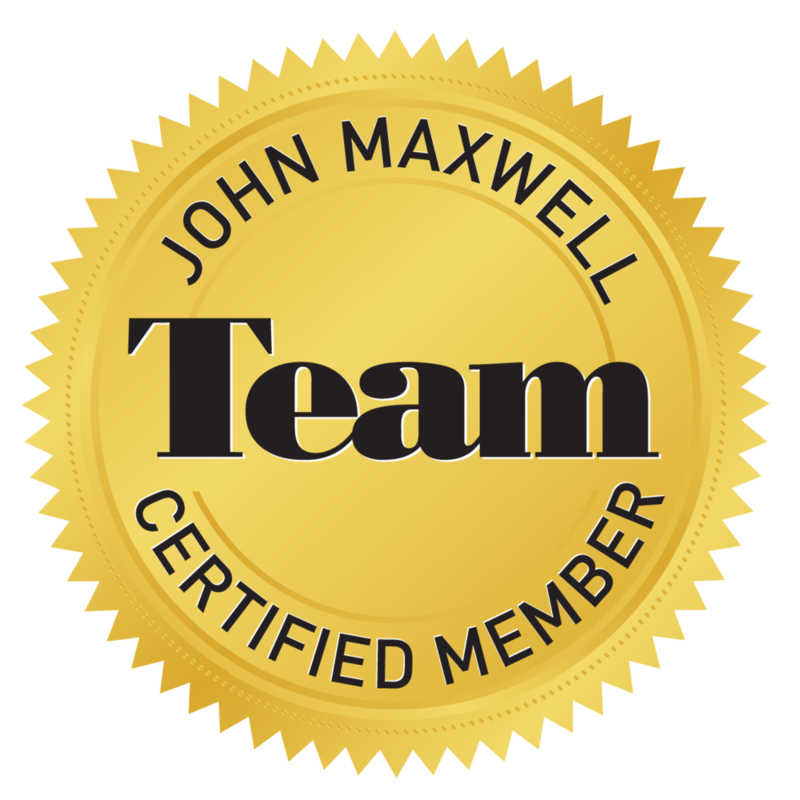 As an IT professional with two decade’s experience in corporate IT and as a freelance contractor and a certified leadership coach and trainer with the John Maxwell Team – I have the skills and experience to understand exactly where you are and help you get to where you want to be. I have sat at your desk, and been to those meetings – I know what you are going through my friend – and I can help! First: establish a common frame of reference, vocabulary and objectives - in other words: lay the foundations. Finally provide an option to access personal coaching which will unlock the highest levels of performance and help you tackle the most demanding challenges. We have created the Cool Waters Leadership development programme to address all of these core requirements and support you today and well into the future as your career and business grow and develop. We start by laying the Foundations of Leadership - 5 core principles that underpin successful leadership in high-tech environments. 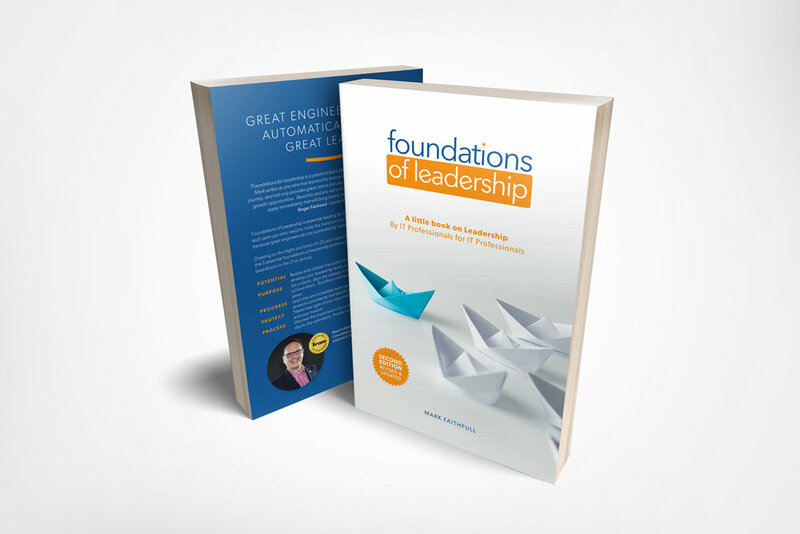 The Foundations of Leadership book is essential reading for all IT Professionals. Nobody grows in isolation and our Empowerment Mentoring community brings like minded career professionals and entrepreneurs together once as month for teaching and coaching in a teleconference. As the old saying goes - iron sharpens iron and we can learn as much from other peoples experience as we can from our own. We're passionate about Leadership and the difference it can make in the lives of people and the organisations where we work, worship and play. We use the revenue from our commercial offerings to enable us to take our training and resources into places like charities and prisons for free. As John Maxwell said: Everything rises or falls on leadership. Then… please accept our warm and personal invitation to gain access to step 1 of the Cool Waters Leadership Path for FREE, including a copy of Mark's Foundations of Leadership ebook which sells for £14.99 on Amazon. This is entirely complimentary – there is no upsell – and you will not be asked to part with any money at any point in this process. In this webinar, Mark will tackle some key behaviours and attitudes that typically get in the way of the career success we seek. In this free online course, we identify the three common mistakes people make when trying to set goals for their career or personal life and how to correct them!